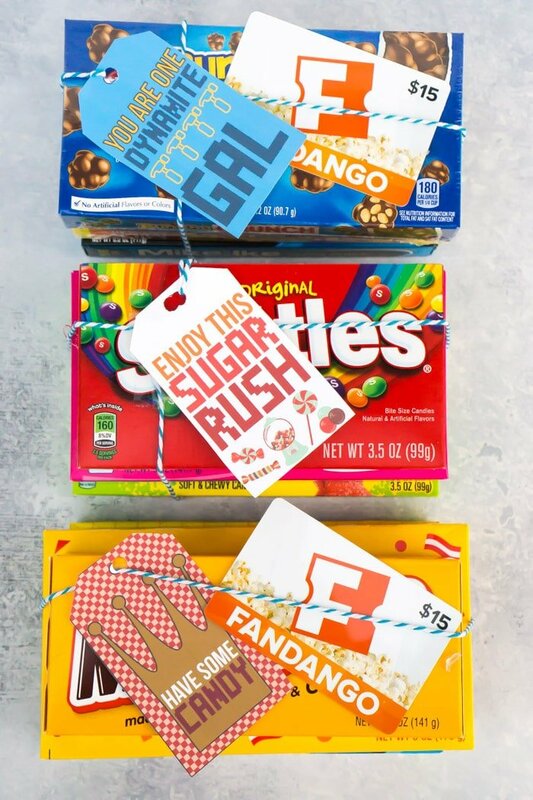 These Wreck-It-Ralph inspired gift tags are the perfect way to give a Disney loving friend a sweet treat or a gift! 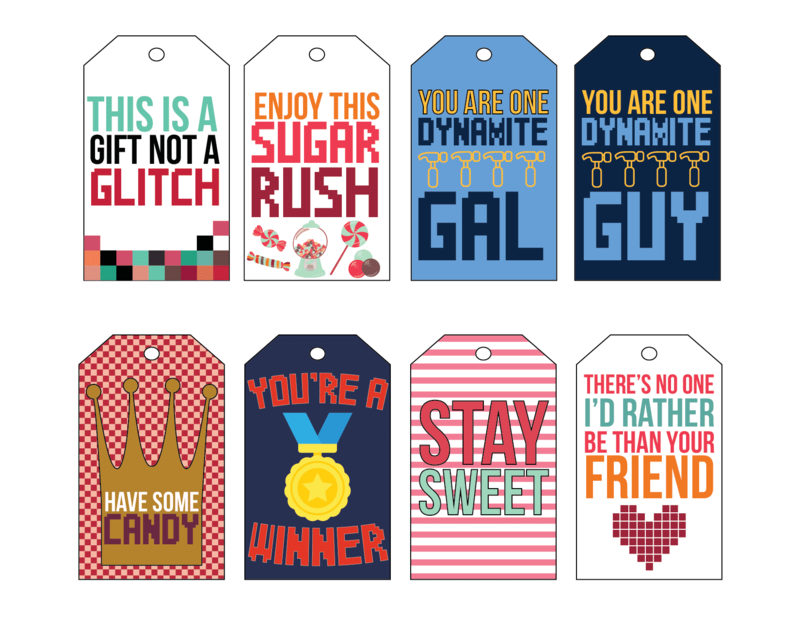 Eight different free printable gift tags all inspired by Wreck-It-Ralph characters and lands! 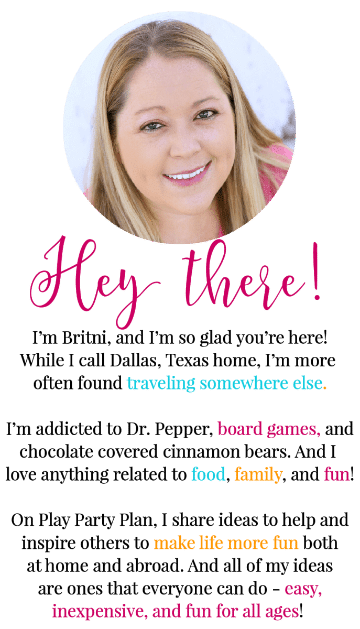 When my good friend McKenzie asked me to join in on a blog hop of all sorts of Disney gift ideas of course I said yes, I mean it’s Disney, and I’m in for Disney everything. The hard part was narrowing down what kind of Disney gift I wanted to make. I could make Disney shirts to give a friend, but I’ve already done that about a million times. 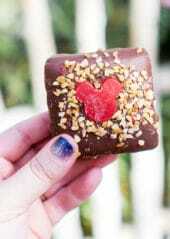 Or maybe something Mickey Mouse like the favors from this Mickey Mouse party. Nope, done that too. Then I started thinking about some of the things coming up for Disney that I’m most excited about. Like all the big changes they announced during D23 this summer and all the amazing movies coming out in 2018. And it hit me. 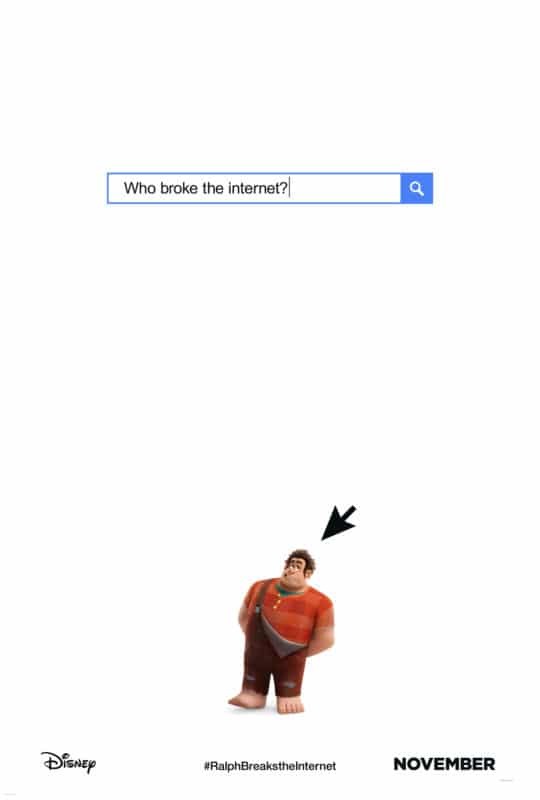 Wreck-It-Ralph. 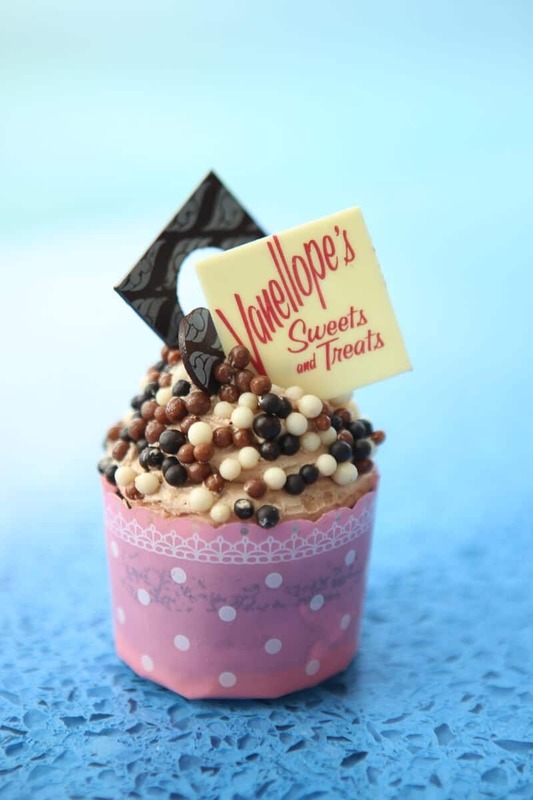 We just got back from a Disney Cruise on the Disney Dream in a few weeks and one of my favorite things about the Disney Dream is Vanellope’s Sweet Shop that’s themed after Wreck-It-Ralph. I’ve always been a huge fan of the movie, but the cruise candy shop really put me over the top. And if that’s not enough, Wreck-It-Ralph 2: Ralph Breaks the Internet is coming out on November 21st and they just released the official trailer! 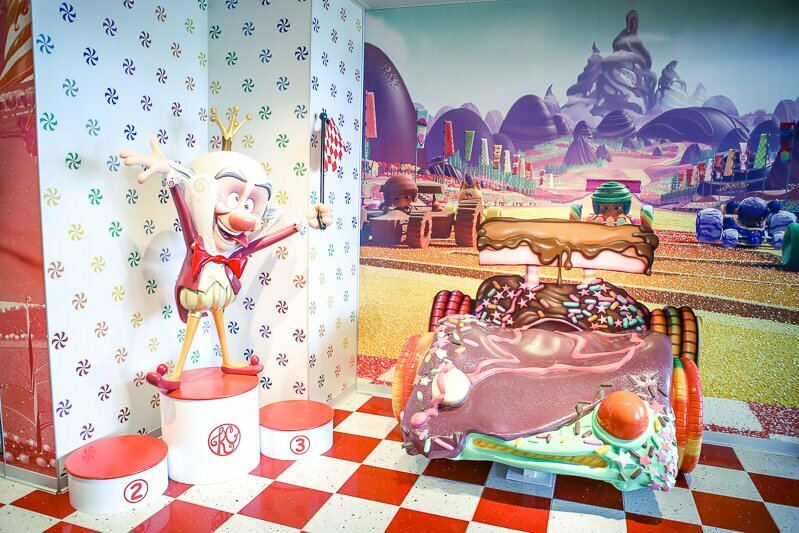 If you loved the first Wreck-It-Ralph, this one looks like it could be even better. And p.s., the advertising at Disney is my favorite. 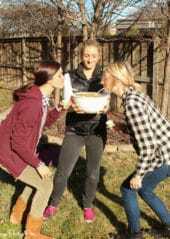 This might be one of my favorite teaser posts ever! In Wreck Breaks the Internet, the story leaves Litwak’s video arcade behind and goes off into the expansive world wide web – the internet. Ralph (John C. Reilly) and Vanellope (Sarah Silverman) risk it all and travel the internet trying to find a replacement part of Vanellope’s video game! The movie was directed by Rich Moore (Zootopia + Wreck-ItRalph) and Phil Johnson (Wreck-It-Ralph), and produced by Clark Spencer (Zootopia, Wreck-It-Ralph, and Bolt). 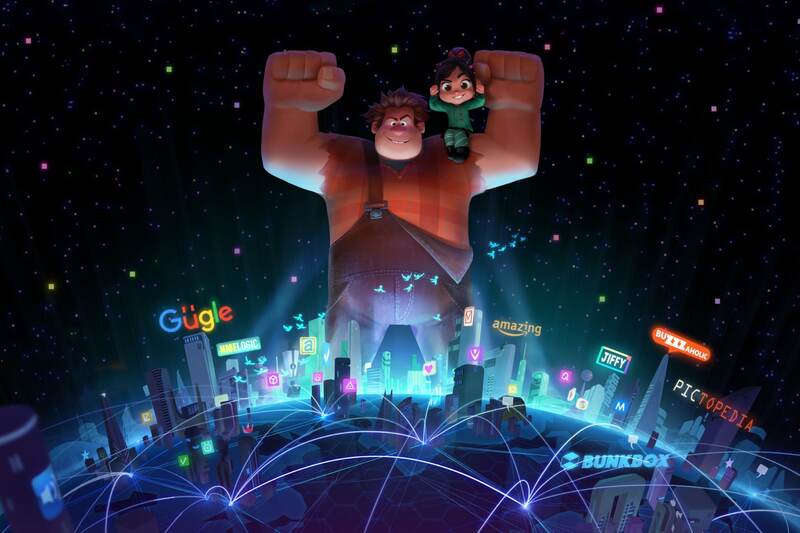 Visit the official RALPH BREAKS THE INTERNET: WRECK-IT RALPH 2 website. Wreck-It-Ralph 2 hits theaters on November 21, 2018! 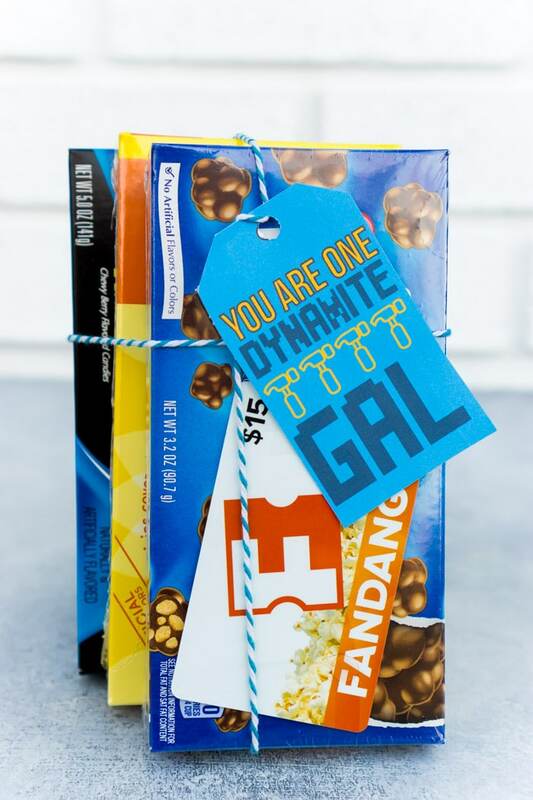 It’s the perfect time for these Wreck-It-Ralph themed gifts. 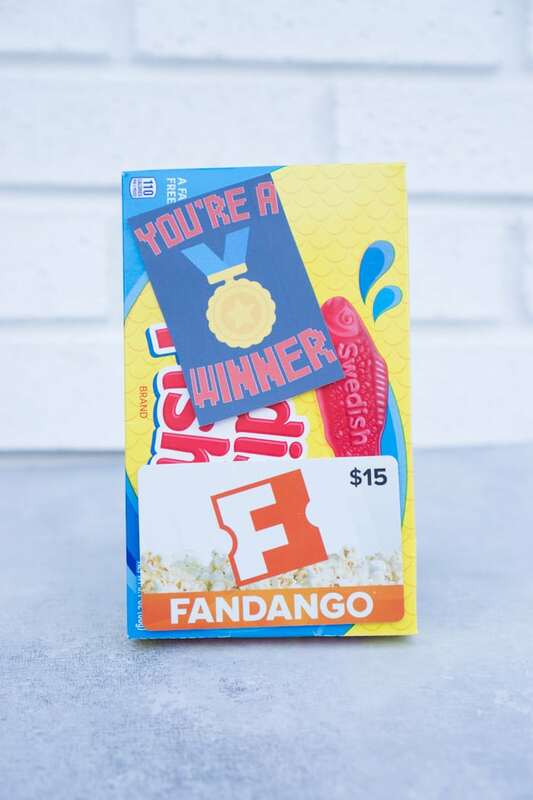 Okay the gift part is a bit of a stretch, I really just grabbed some of my favorite movie theater candy, because hello Sugar Rush game in the movie, and a Fandango gift card, to make the perfect Wreck-It-Ralph themed movie night gift. 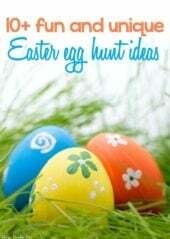 And really just an excuse for me to eat some candy and watch Wreck-It-Ralph all over again for research! 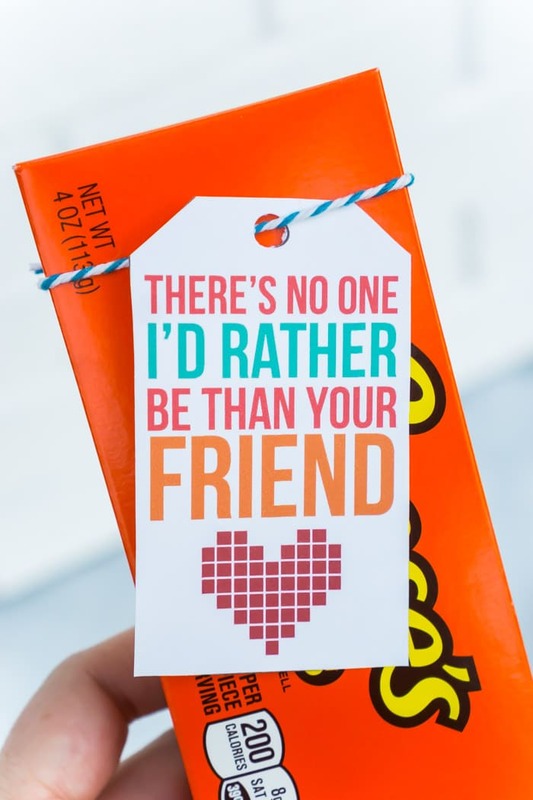 The thing that’s fun about these gifts are the gift tags. 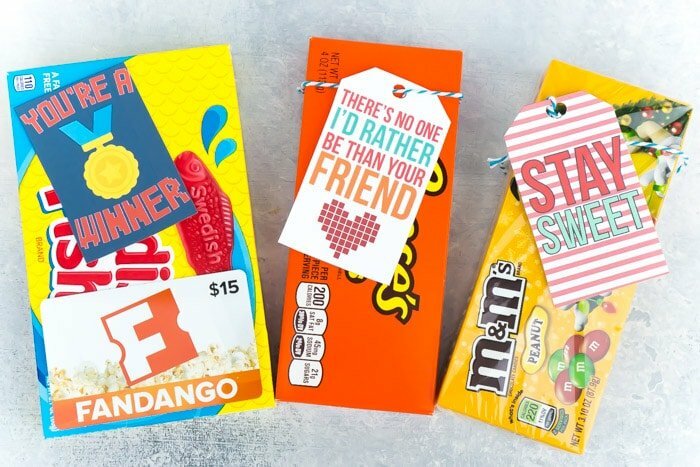 I created seven different Wreck-It-Ralph themed gift tags, inspired by my favorite characters from the first movie. Vanellope the Glitch. Fix-It Felix who makes the mistake of calling the Sergeant a Dynamite Gal (or guy). Ralph and his medal. 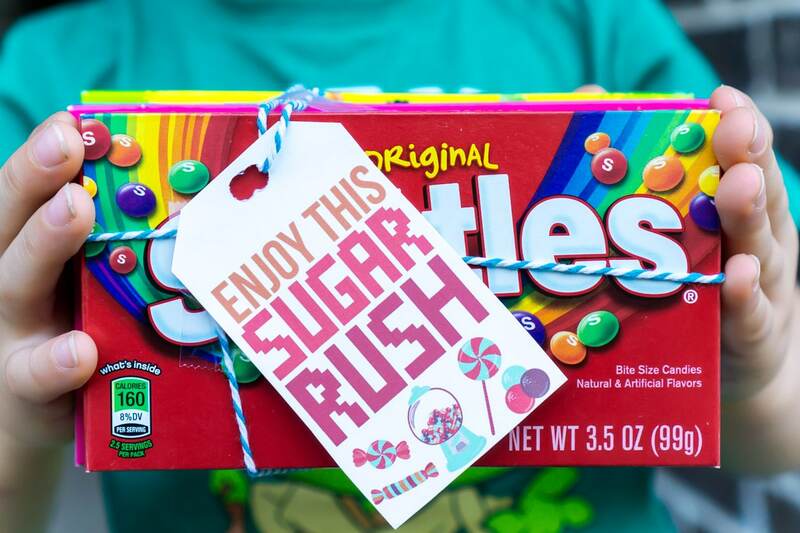 King Candy. And even Taffyta and her very pink striped self. 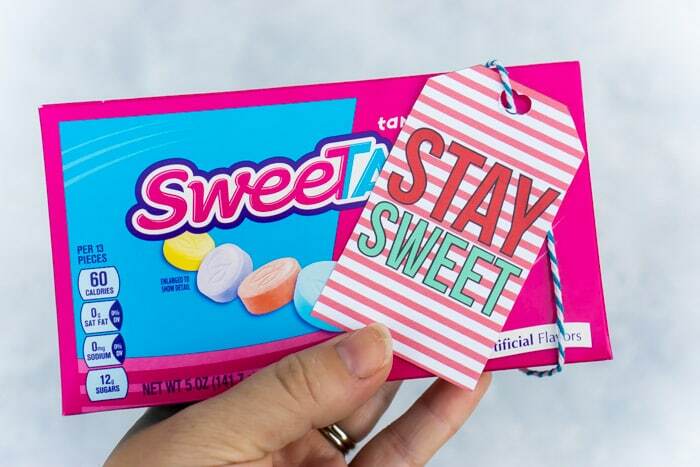 Remember how I mentioned I was partnering with a bunch of other bloggers for this post? Well here you go, Disney inspired gift ideas from 14 other bloggers, some of the most creative bloggers ever! Pretty sure I’ll be making each and every one of these gifts for myself this year, so I guess that no longer makes it a gift huh? Click on the links below the collage image to go directly to details on each of the gift ideas. 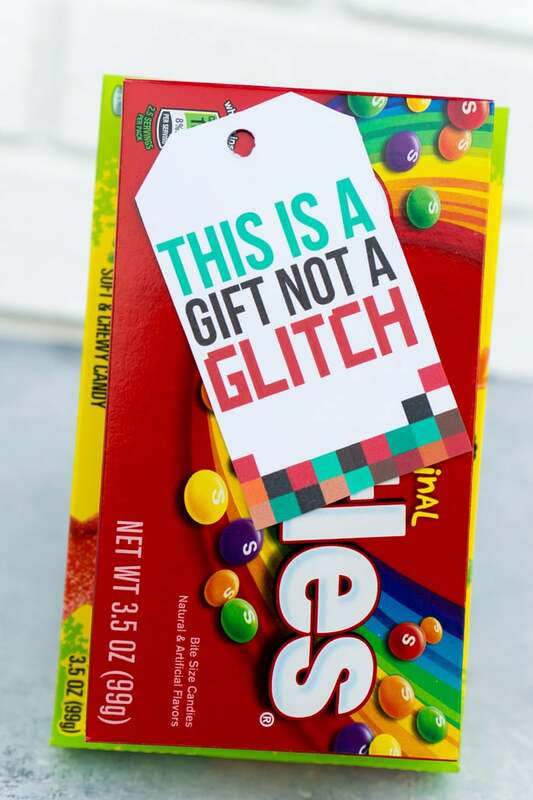 Wonderful Wreck it Ralph gift tags! !